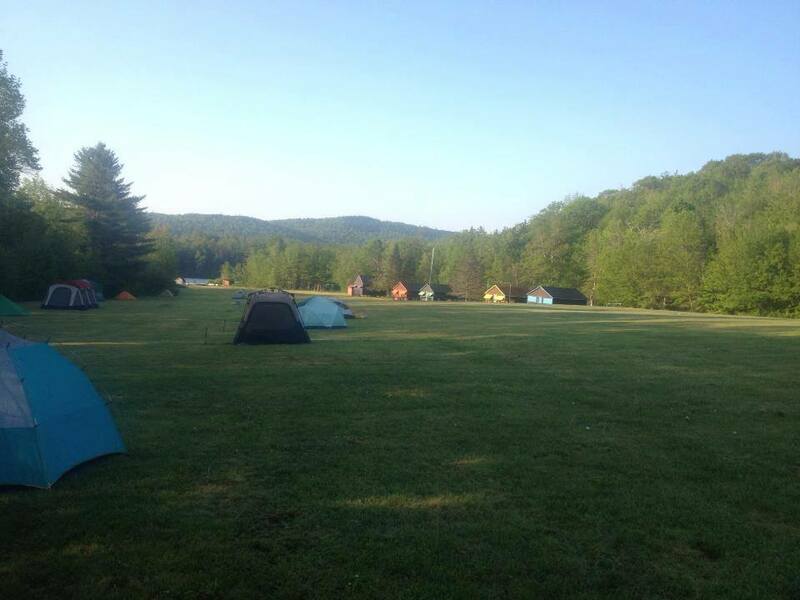 The sun rising over cabins and tents at Camp Wilmot at ESS 2013. When: weekend of June 8, 2019! Programming at Skill Swap begins on Friday evening (the 7th) and closes Sunday evening (the 9th), with an option to stay at camp through Monday morning (the 10th). Where: Camp Wilmot, 5 Whites Pond Road, Wilmot, NH 03287. Visit our Getting There page for a map and directions. If you want to carpool or need to be picked up from public transit, please indicate so when you register. If your attendance is dependent on getting a ride, contact us at epicskillswap@gmail.com and we’ll let you know if anyone is coming from your area. If you’re looking for a ride or can give a ride, you can sign up and connect with other ESS attendees on our carpooling rideboards. We’ll share the rideboard link with registered attendees. Schedule: Our workshop schedule is built by our participants! Check out the Workshop Submission Process for full details. If you want a sense of what’s been offered in the past, check out our Past Swaps pages in the menu above. Volunteering: In order to make a small weekend village like this run, we ask that everyone pitch in on a volunteer crew of their choice, approximately 1 to 4 hours of work over the course of the weekend. When you register, you will have an opportunity to indicate which crew you would like to be on. We’ll do our best to match you to your preferred crew, and you’ll sign up for your volunteer shifts when you check in. The Facilities: Camp Wilmot is located in beautiful rural New Hampshire. 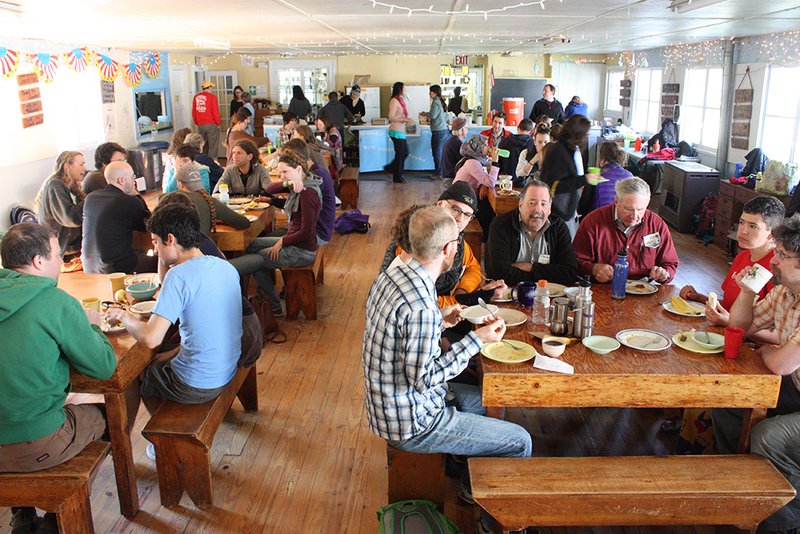 The main lodge has a dining hall, commercial kitchen, and cozy back porch. We also have access to several other enclosed buildings for workshops and gatherings, many with screened porches and/or fireplaces. Camp Wilmot has a lovely pond for swimming and canoeing. The main buildings are heated and insulated, accessible by ramp as well as staircase. If you have questions about accommodations, or you have questions about mobility and accessibility, please let us know and we’d love to work with you! Email us at epicskillswap@gmail.com. Lodging: Camp Wilmot offers cabins that sleep 10 for those who prefer a roof over their heads, or open fields for those who prefer a tent and stars. We also have a limited number of more private, heated, indoor sleeping spaces for families or folks whose bodies need a heated space with a thicker mattress (email us at epicskillswap@gmail.com if you have housing needs). There are designated “quiet areas” for campers and cabin-ers alike who are protective of their shut-eye. Cabins are uninsulated and are mostly reached by earthen paths. They have bathrooms with toilet, sink, and shower stall. We have overflow cabin space in case it POURS rain and tenting becomes no fun! Food: Please bring a dish Friday night for a potluck dinner. Our talented head chef, Laura Keeler, will provide delicious, mostly vegetarian meals on Saturday and Sunday, and breakfast on Monday. Venison donated by one of our community members will supplement the vegetarian options. Bring a snack for the potluck snack table! The meals at Epic Skill Swap are designed to accommodate folks with dietary restrictions, including gluten-free, lactose-free, and grain-free options. However, if you have very specific dietary needs, you may choose to opt out of group meals and bring your own food, and you can plan on adjusting your monetary contribution to the weekend accordingly. A small refrigerator will be reserved for those who fall into this category. Please note that group meal prep will take priority in the hours directly before meals. If you are preparing your own food, you may want to consider bringing a camp stove. Dogs: There is a no-dogs policy in place (except for service animals). WiFi: There is wireless internet at Camp Wilmot and the password will be available; however, please be conscious of helping us cultivate mindful interactions between people, and limit your web use to the spaces we’ve set aside for it. Kids: We love kids! Kids are the future! They should teach and learn with the best of ‘em! However, we are not set up to provide childcare. You are welcome to bring your children, but if you do, they remain solely your responsibility. If you are under 18, you must attend Epic Skill Swap with a parent or guardian. You do not need to register your baby and toddler, but we do ask that you register older kids who you expect will eat with the group. Our suggested sliding scale for kids is $25–$50, but we encourage you to pay what feels appropriate based on your child and your situation. Alcohol: Alcohol is permitted at Epic Skill Swap, but please drink responsibly. Drugs: Illegal drugs are absolutely not allowed at Epic Skill Swap. Please understand that failing to observe this puts the organizers in a very awkward position. Legal Stuff: When you check in, you will be asked to sign a standard liability form. This basically indicates you understand what you’re getting into and you won’t hold the organizers or Camp Wilmot responsible. We will also have event insurance for the weekend. Epic Skill Swap is a socially inclusive, non religiously-affiliated event open to people of all backgrounds, races, cultures, religions, ages, abilities, genders, and orientations.